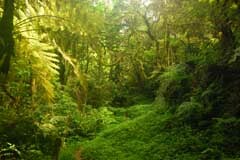 Bwindi Forest is a unique place on earth, untouched by the last ice-age this virgin forest holds secrets from the last 30,000 years. 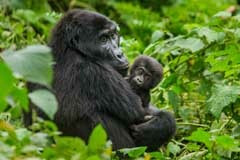 Not only will you trek the rare and endangered mountain gorillas, you’ll take an exclusive, full-day walk through Bwindi Forest from one side to the other. 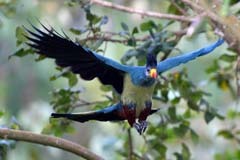 This is a fly-in, fly-out safari that makes the most of your time in Uganda. 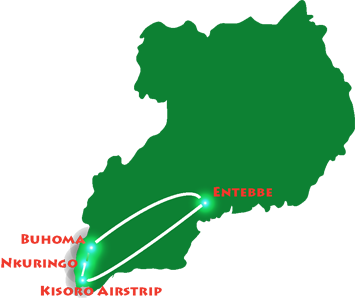 Arrive in Entebbe off your international or domestic flight. 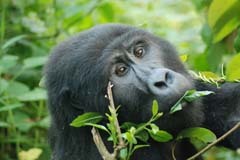 We will meet you and chat through your upcoming trip to the Mountain Gorillas. 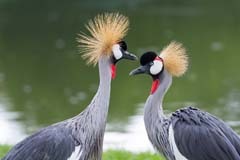 If you arrive during the day you could try your eye at bird spotting in the historic Botanical Gardens of Entebbe. You’ll leave in the early morning for your scenic flight to the Southern side of Bwindi Forest. This epicly scenic part of the Bwind is less visited due to being further for driving safaris to reach. On Day 3 You’ll have an unforgettable chance to come close to the majestic Mountain Gorilla. Your lodge, Nkuringo Gorilla Lodge will pick you up from your internal flight and assist you with your Gorilla tracking and any other excursions. Be one of the very few people to traverse the Bwindi Forest. This is pristine wilderness at its best – the virgin forest, untouched by the last ice-age is over 30,000 years old! Follow a trail originally used by the pygmy population to trade. This is a 4-6 hour walk and you can choose a “short” or a “longer” route. Stay at Mahogany Springs, a welcome rest after a long but rewarding walk. You’ll take a morning flight back to Entebbe where time providing you can enjoy some of the activities Entebbe has to offer such as the Uganda Wildlife Education Centre, a Sunset Cruise, The Botanical Gardens or even 18 holes of Golf!